Most travelers loves the freedom of having access to their own car when away on vacation, especially in a country like Ireland where it is all about the people, the culture and the astounding scenery. With a car you can go exploring at your leisure, stop off whenever you like or if a spot takes your fancy you can spend longer here than if you were with a tour group. However we all dread the process of booking car hire because we are concerned about hidden fees, we get confused over what insurance we need, we worry about what will happen if we get a knock or a ‘ding’ on the car so I have decided to try and take the confusion out of car hire in Ireland by answering a few of the most frequently asked questions we get here. What is the best way to get a quote? 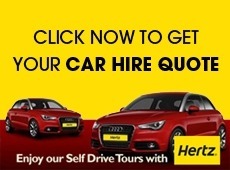 Journey Through Ireland have an online quoting system with Hertz. 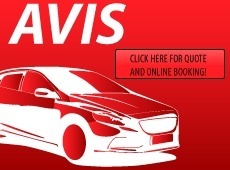 You just click on the link http://irelandtouring.com/car-rental-quote-and-online-booking and fill in your dates, your preferred car type and pick-up and drop-off locations, then the system will generate a quote for you in Euro. 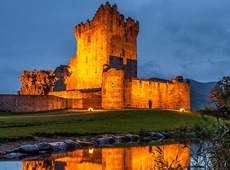 I would recommend also ringing the office Toll Free on 1.800.828.0826 as Journey Through Ireland can check directly with Hertz to see if they can get you any better rate. Journey Through Ireland have a fleet list of rental cars which tells you how many people and suitcases your car rental will comfortably fit. You can view this fleet list at http://irelandtouring.com/rental-car-fleet-guide. Am I charged in Euros or Dollars? You have both options with Journey Through Ireland. You can book online and you will be charged the rate in Euros. Alternatively if you would prefer to pay in dollars, you just need to call the office of Journey Through Ireland on 1.800.828.0826 and they will quote you in dollars and can charge your credit card in dollars. How do I know what car category I need? 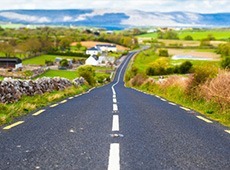 Journey Through Ireland have a fleet list under the car hire section on their webpage. 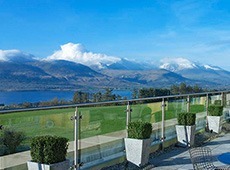 http://irelandtouring.com/rental-car-fleet-guide. This gives you a list of all of the car categories and tells you how many people and suitcases that you can fit in! don’t want to drive from the airport to my city center hotel. How do I avoid this? Nervous about driving out of the airport and into Dublin city – don’t worry, we understand and this is easily rectified. 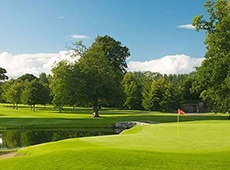 Journey Through Ireland can arrange for you to get a private transfer from the airport to your hotel and arrange for you to collect your rental car from Dublin city when you have settled in and found your feet. Insurance – please explain the options. Inclusive Rate is the most common option for people. This rate includes: 13.5% Value Added Tax Unlimited mileage Third Party Liability Insurance Collision Damage Waiver & Theft Coverage (Deductible applies) Location Service Charge (LSC) Breakdown Service This rate is usually used when you don’t have a World Mastercard. Exclusive Insurance includes: 13.5% Value Added Tax Unlimited mileage Third Party Liability Insurance Breakdown Service This rate is only available if you have CDW and Theft Coverage with your insurance provider. There will be a EUR25.00 administrative charge and EUR26.00 Location Service charge payable at the Hertz Desk. You may waive the already limited liability (deductible) in case of damage to the Hertz vehicle, provided the vehicle is used in accordance with the terms and conditions of the rental agreement, by electing to pay an additional daily premium. This election is made at the Hertz counter. Super Cover does not cover damaged tires, lost keys or use of incorrect fuel. It is available when the main driver is more than 30 years old. Where can I get advice on my travel plans to Ireland? Call us! We are happy to help and will give you Free travel advice if you are booking a rental car through us. We can even give advice on what to pack for your trip!! 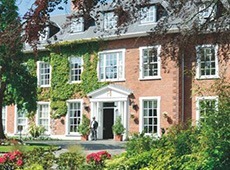 You also have the option of booking some or all of your accommodation through us, from B&Bs to hotels to Castles and Manors – whatever you have in mind, we can help you with it. For anyone booking accommodation with us, we usually prepare a customized itinerary for your trip which will include your specific interests. So take the hassle out of your trip and just give us a call!! Can I book a GPS? You can indeed! Just call us at Journey Through Ireland to add a GPS to your booking. Don’t forget your driving licence and any documentation that Journey Through Ireland send to you. Are there any additional fees that I should be aware of? The only additional fees that you can be charged locally are if you opt for the Exclusive Insurance Option. There will be a EUR25.00 administrative charge and EUR26.00 Location Service charge payable at the Hertz Desk. Apart from that, if you decide to opt for any additionals when you arrive such as Super Cover, a GPS, child seat or other extras, you will be charged at the Hertz desk. With regard to Super Cover, Journey Through Ireland can tell you the daily rate for this and then you can decide when you are collecting your car at the airport if you wish to avail of it.